We may finally be reaching the tipping point when gaming and gamification techniques achieve the respect and recognition they deserve as powerful tools in the marketers toolkit. A recent quarterly trend report from specialised research firm Newzoo estimates the overall gaming market is “projected to rise from …. $70 billion in 2018 to $106 billion in 2021” with expectations for mobile channels to drive more than half that revenue for the first time in 2018. 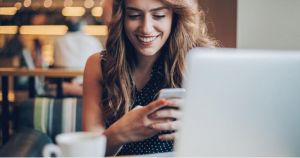 Boasting over 25% year-on-year growth from tablets and smartphones combined, smartphone engagement alone will deliver over $56 bn for the market. 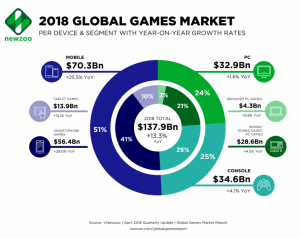 While these phenomenal growth levels have been expected, a number of significant factors are worth mentioning to understand how and why this growth in gaming is driving the use of gamification as a marketing strategy and successfully driving engagement and customer loyalty. 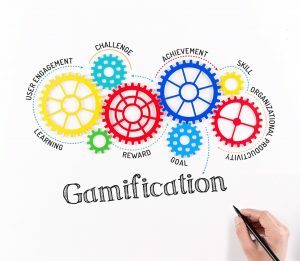 Gamification is defined as the use of game techniques and design elements to improve engagement, educate or increase productivity. It involves understanding the most powerful human needs and designing interactions that tap in to them in order to influence our behaviour. From a marketers perspective, there are several frameworks available, including the Octalysis Framework – developed by Yu-Kai Chou who has been recognised for several years as “Gamification Guru of the Year” and who developed his framework after more than a decade of research for organisations such as Boston Consulting Group and Stanford University. The author describes how businesses that can find fun ways of satisfying these psychological needs will “optimize for human motivation… as opposed to pure functional efficiency” and he explains how the world’s most successful digital and social media companies apply these principles, effectively developing their platforms to engage users way beyond the original approach used by online games. If you’ve ever wondered how platforms such as Snapchat and Facebook have become so addictive to use, the answer lies in their understanding of how to satisfy these deep human needs using the principles of gamification, such as how Facebook “likes” trigger a sense of accomplishment (core drive eight) and so we experience a reward in the brain every time this occurs. i) Epic Meaning and Calling – when the person feels they have a significant contribution to make to a community or to the world, eg wikipedia. ii) Empowerment of creativity – people love creating, the core drive behind games such as Lego where the possibilities for the user to create are endless. iii) Social Influence – a sense of support and connection between people such as the drive to mentor others, also experienced in the sense of nostalgia. iv) Unpredictability – our natural curiosity that drives our interest in books, movies and stories. When developed in a more extreme context, this is the same human drive that leads to gambling addiction. v) Loss and Avoidance – when people have invested time or resources in a project or idea, they become reluctant to let go as they feel the sense of losing out or admitted having wasted their time. vi) Scarcity – a drive to want something because you can’t have it. This is the psychology driving higher tiers in loyalty programmes and invitation-only events. Facebook leveraged this very effectively when it launched, as it was originally available only to Harvard students, then other prestigious universities before the public could eventually join. vii) Ownership – programmes or games that allow users to customise their profile are allowing them to develop a sense of ownership which drives further investment in time and often money too. Farmville is an example of this game technique – a digital farm that was the number one game played on Facebook for over two years. Its popularity has declined considerably since its peak in 2012, however the game continues to earn considerable revenues – over $860 million in 2017 alone. viii) Accomplishment – the most common and easy to design for – commonly seen as awarding badges to recognise some behaviour. The gaming industry is changing radically. Unlike the early days dominated by violent video games and consoles, now the world’s top games such as Candy Crush Saga and Fortnite are “social, free and mobile”. And increasingly played by women. Targeting this demographic makes sense. In the same way that women are typically more engaged with loyalty programmes on a daily basis than men, they are also emerging as even more frequent social game players than men, providing significant opportunities for brands to earn their loyalty. Newzoo highlighted higher game usage by women than men with “43% of female players playing mobile games five days a week or more, compared to 38% of men” – so they are significantly more engaged. i) It included women in its advertising. This is normal in most industries but was a radical shift for gaming advertising. ii) The game is designed in cartoon style which is more visually appealing to women. iii) It has a social element, reflecting how women typically recommend games to their friends and family, whereas men typically discover them through websites and apps. Gamification is an important marketing strategy given it’s relevance to core human needs globally. It is particularly dominant in the Asia-Pacific region, which now accounts for nearly two thirds of global mobile gaming spend. Women are more likely than men to see games “as entertainment or stress relief” – so loyalty marketers should focus on positioning their programmes as fun. A “staggering” 91% of gaming revenue ($137 billion) already comes from digital sales and micro-rewards globally – so loyalty programmes that have not yet developed digital coupons and mobile rewards are missing a huge opportunity. Traditional stereotypes showed that gamers preferred to play alone, yet the popular gamification website Gamification Geek shows that 90% of parents in Australia play online games with their children and 31% partners play online games together. Gamification has proven compelling for many brands such as McDonald’s who created a global Monopoly game for their customers back in 1987, which moved online in 2005 and is still run today in many global markets. Other great case studies include fitness apps such as Nike Plus, a health game called SuperBetter, and the ‘piano stairs’ game. More recent trends include the adoption of innovative technologies such as augmented reality which created the viral phenomenon Pokemon Go – which has since earned five Guinness World Records for its sheer speed of adoption worldwide. Although its popularity has waned since its peak in 2016, the game still boasts 147 million monthly active players. 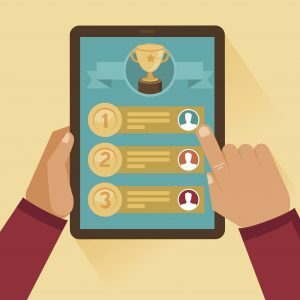 If you are keen to get started, here is a useful summary of tips to add gamification to your marketing strategy. And this summary page is a really useful summary of the revenue returns and marketing benefits quoted by some impressive brands from their investments in gamification. Examples include OPower – a company that specialises in driving customer engagement and energy efficiency cloud services to utilities. Yu-kai Chou quotes how Opower reduced measurable energy consumption by over $100M using gamified techniques. This included showing customers how their energy consumption compared to other homes in their community, tapping in to their “Epic Meaning and Calling” core drive – as you can see in this video. 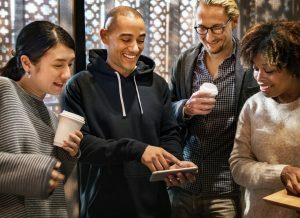 With a clear plan, and a simple FUN experience for customers, your brand can effectively apply these principles of human psychology to enjoy an increasingly loyal audience who can’t wait to connect with your programme each day.